Peter Faber has been declared a saint today December 17th . Pope Francis has canonized one of the first companions of St. Ignatius extending his devotion to the universal Church. This is a so-called "equipollent" (equal in force) canonization in which the Pope, by his authority, extends the worship and liturgical celebration of a saint to the universal Church, after having fulfilled certain conditions established by Pope Benedict XIV (1675-1758). This practice was used by Pope Francis himself on October 9 for the canonization of Blessed Angela from Foligno and by his predecessors Benedict XVI, John Paul II, John XXIII, among others. The canonization of Blessed Peter Faber holds a special meaning because he is a model of spirituality and priestly life of today's Pope and at the same time an important reference to understand his style of government. 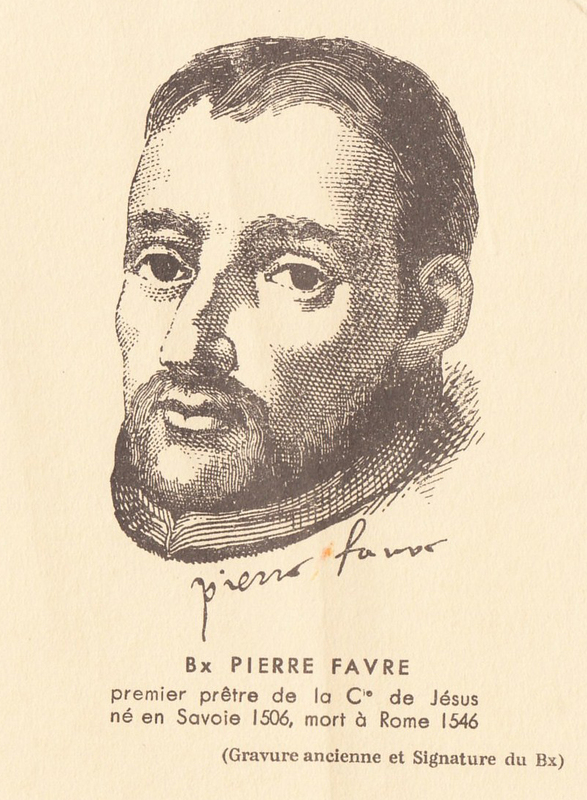 Faber lived on the crest of an era when the unity of the Church was undermined and he remained essentially alien to doctrinal dispute, directing his apostolate to the reform of the Church and becoming a pioneer of ecumenism. How much his example is rooted in the pastoral horizon of Pope Francis is felt in the synthetic portrait he made in the interview he gave to La Civiltà Cattolica, revealing some essential aspects of his personality: "His dialogue with everybody, even the most remote and even with his opponents; his simple piety, a certain naiveté perhaps, his immediate availability, his careful interior discernment, the fact that he was a man capable of great and strong decisions but also of being so gentle and loving, loving." The aspect of Faber is that of a contemplative in action, a man attracted to Christ, passionate about the cause of the brothers, experienced in discerning the spirits, devoted to the priestly ministry with patience and mildness, offering himself without expecting any human reward. Faber meets God in all things and everywhere, even the most cold and hostile settings. In his Memoriale, which is one of the main documents of the spirituality of the early Society of Jesus, his life is conceived as a journey, a journey through the various regions of Europe following the example of Christ: traveling for obedience, always alert to follow God's will and not his own.